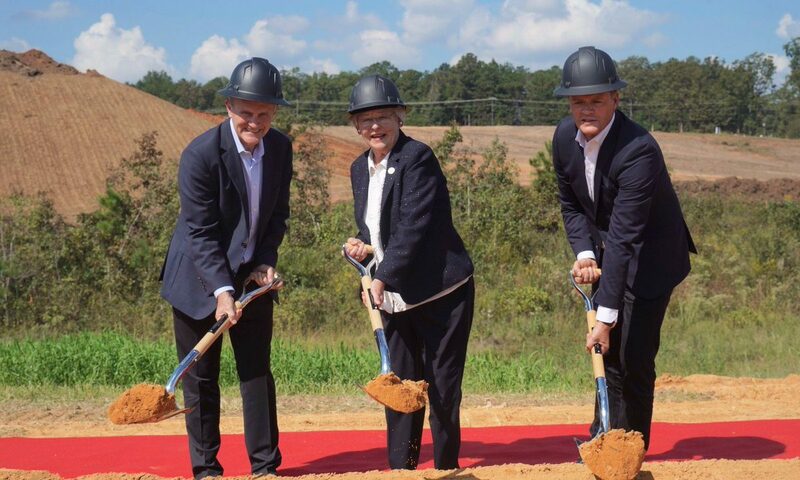 Friday, Alabama Governor Kay Ivey (R) joined Mercedes-Benz officials at the formal groundbreaking ceremony for the construction of the new battery factory in Bibb County. The 2 million-square-foot plant at the Scott Davis Industrial Park in Woodstock will supply battery packs for Mercedes Alabama-made electric vehicles. Electric automobiles are a key component in a $1 billion Mercedes expansion that was announced in September 2017. “The widely export oriented Mercedes-Benz plant in Tuscaloosa is a high-tech production facility with a successful history and an exciting future in terms of our brand in the United States,” said Markus Schäfer, a member of the Divisional Board of Mercedes-Benz Cars, Production and Supply Chain. “We aim to play a pioneering role in the development of e-mobility and are well prepared to accomplish this mission. On display at the event, was the first customer-ready 2020 Mercedes GLE sports utility vehicle. The GLE is the fourth generation of the sport utility originally known as the M-Class. Mercedes began full scale production of the GLE in Vance just that day. Mercedes plans to begin producing electric SUVs at its assembly plant Vance which is just seven miles away from the battery plant in the early 2020s. The battery plant will also supply overseas assembly plants with kits used to produce vehicles for local markets. Ivey was elevated to Governor in April 2017 when then Gov. Robert Bentley resigned. Ivey is seeking her own term as Governor and is emphasizing the economy and unprecedented job growth in the state. She faces Tuscaloosa Mayor Walter “Walt” Maddox (D) in the November 6 general election.